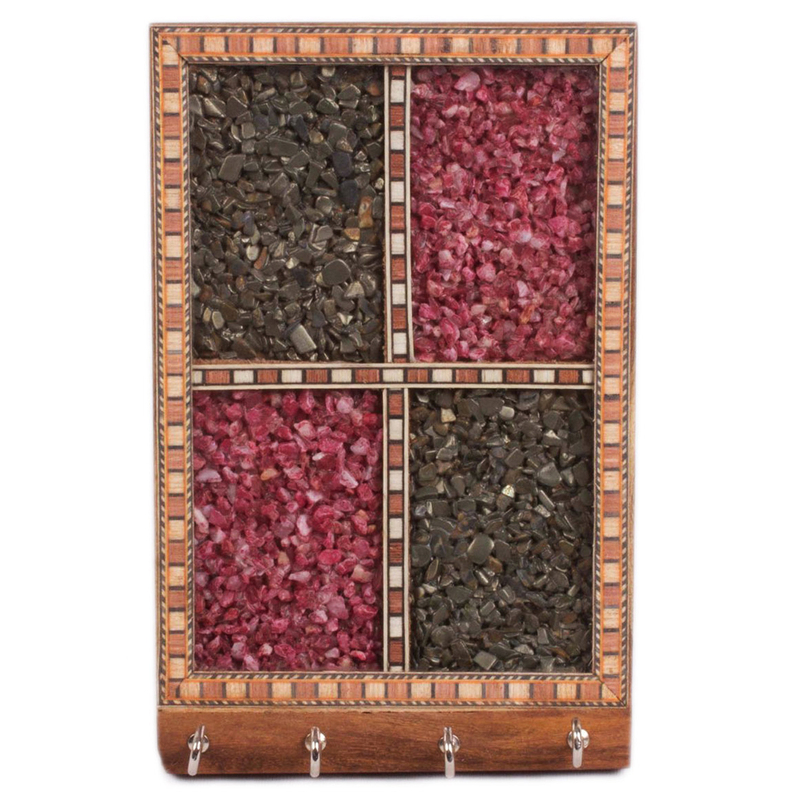 Adorned with gemstone painting & made from the durable wood, this key hanger looks cordial enough to make your home stylish. Hang the keys of your house at one place by using this. 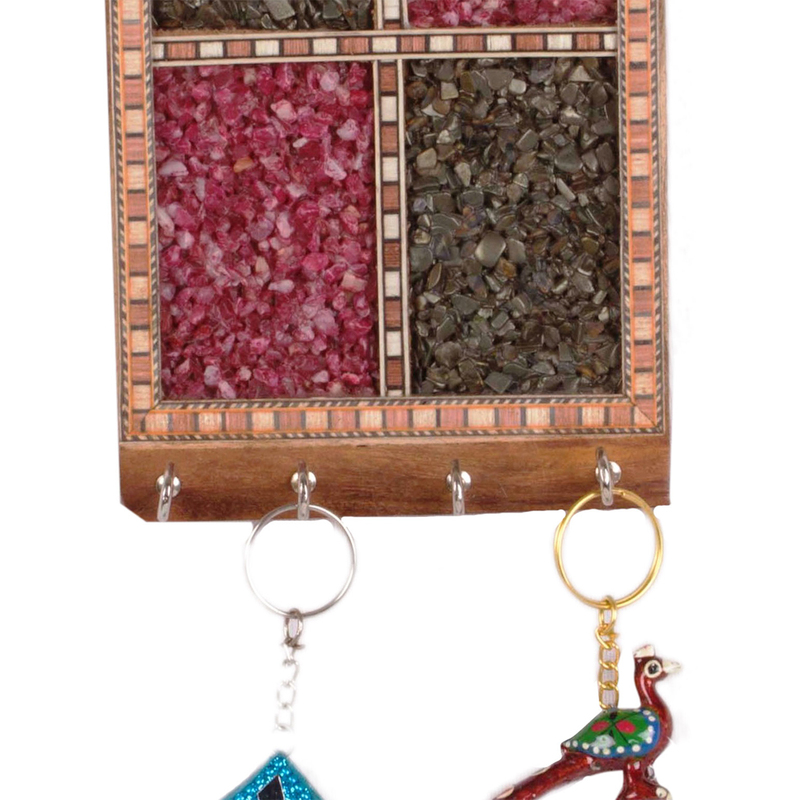 Gift your beloved this beautiful key holder crafted by the art form of Rajasthan for many years. This four hook key holder can be a Read More..very handy piece for you & keep you free from the tendency of losing your keys frequently. Adorned with gemstone painting & made from the durable wood, this key hanger looks cordial enough & the checkerboard combination of red & black makes the key hanger even more attractive. Mount it on a wall of your home & keep the key at one place with style. Show Less..